Dave Gorman is a former stand-up comedian who has branched out to become published author, writer, documentary comedian, filmmaker and all-around humorist. Dave Gorman is best known for his storytelling method of comedy that is based on proving extreme, but true, adventures. Dave Gorman got his start by writing for British television programs, including “The Mrs. Merton Show” and “The Fast Show”. Dave Gorman’s first solo performance, “Reasons to be Cheerful”, debuted in 1998, and was based on determining if the lyrics of a song by the same name were truly reasons to be cheerful. A second show, “Dave Gorman’s Better World”, followed in 1999. “Dave Gorman’s Important Astrology Experiment” was a television series based on an actual scientific (although comedic) experiment to determine whether astrology/horoscopes truly worked. In 2005, Dave Gormon began hosting the radio show, “Genius”, based on suggestions of what could make the world a better place. Recently, Dave Gorman filmed a television version of the program, which is slated to broadcast early 2009. “Dave Gorman’s Googlewhack Adventure” was Dave Gorman’s next tour, which he followed up with a book under the same name. The show’s popularity resulted in a UK tour of 75 shows, earning Dave Gorman the “Best One Person Show” award from the HBO Comedy Arts Festival before expanding internationally to a US tour in 2005. The “Googlewhack” book wound up on the Sunday Times Number One Best Seller list, in addition to a DVD of the same name. The travels that made up Dave Gorman’s “Googlewhack” series led him on a cross country US road trip for three months in 2006. His quest was detailed in the book “America Unchained: A Freewheeling Road trip in Search of Non-Corporate USA”, which came out in April 2008. Adocumentary of the same name aired a few months prior, winning the 2007 “Audience Award” for Best Documentary Feature at the Austin Film Festival. 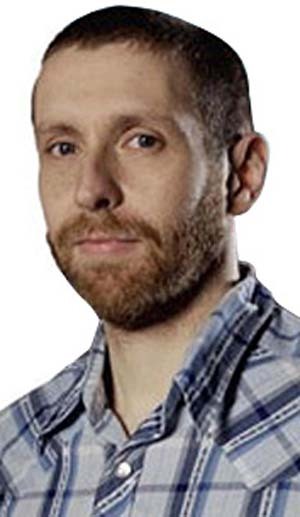 Dave Gorman plays the role of himself as a team captain on “Bob Brydon’s Annually Retentive”, a commentator on Comedy Central’s “The Daily Show”, and guest appearances on “Have I Got News For You”, “They Think It’s All Over”, “The Geoff Show”, and “Grand Designs Live”. Dave Gorman's talent as a comedian and performer earned him the distinction of being listed in “The Observer” top 50 British comedy acts in 2003, and an honorary doctorate from Staffordshire University in 2006.